During the fall of 1996, Rogers Park Community Council (RPCC) and Loyola University Chicago's Center for Urban Research and Learning (CURL) entered into a conversation about an appropriate project to address the concerns of the community. It was agreed that a defensible space project could be most beneficial. 3) To enable the residents to use the recommendations and develop a plan of action that increases community safety. In order to achieve these identified goals and build community support, a defensible space workshop and forum were planned. The research for this report was carried out by teams of community residents and university students. 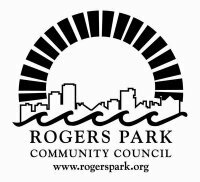 The project resulted in a report, "A Defensible Space Project: Deterring Crime and Building Community in Rogers Park," outlining recommendations. The report can be used as a how-to manual for future defensible space projects.